Last week, Saudi Arabia broke diplomatic relation with the Islamic Republic over its execution of Sheikh Nimr al-Nimr, a top leaders of Saudi Shi’ite minority. The diplomatic break-up is hailed by Israeli media and has brought several Israel Firsts American Jewish traitors out of sewer to throw their support behind Saudi Arabia. The same Saudi Arabia which was blamed for 9/11 and bankrolling anti-Israel Muslim Brotherhood by the Jewish Lobby in the past. It doesn’t surprise me because since 1979 Islamic Revolution, Iran has become a major political issue in the US, Israel and even in Canada. 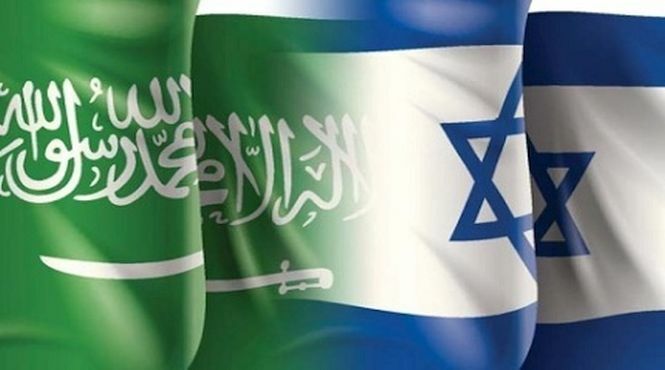 On Thursday, KSA deputy crown prince Mohammed bin Salman told Jewish Economist magazine that there were no possibility of a war between KSA and Iran. However, that didn’t stop Israeli propagandists at Jewish Wall Street Journal and Newsweek to keep ringing war bells on Saturday. It’s no secret anymore that KSA and Israel have inked an alliance against Iran-Syria-Iraq-Hizbullah, known as Axis of Resistance. Both KSA and Israel has common history; the rulers are cousins and both entities were established by Western imperialists to counter political Islamic revival (here). Riyadh recently gave $16 billion in aid to Israel. While KSA and Israel love to bark at Iran, both are afraid to attack Iran. Both rather prefer their guardian angel, United States, to fight their proxy wars. Turkey, a Sunni-majority nation has always maintained brotherly relations with Iran as members of British-created military and trade Baghdad Pact and CENTO against USSR. After Ankara criticized Riyadh for the recent “political death penalties”, former Turkish diplomat and an “expert” on Turkish foreign policy at Jewish Carnegie Institute in Brussels warned Turkish government not to take side in Iran-Saudi rift. All the Jewish propagandists who tried to sell Saddam Hussein’s phony nukes, and Qaddafi and Bashar Assad genocide of people – and “Iran already has nukes”, such as, convicted Elliott Abrams, Richard Pearle, Bill Kristol, Max Boot, Charles Krauthammer, David Pryce-Jones, Lee Smith, etc. All these Jewish evildoers have whined in different tunes blaming Obama administration for throwing another US ally under bus after the Zionist entity. American Jewish writer, author and human rights activist Medea Benjamin has called United States a willing partner in Saudi Arabia’s human right abuses.